The most pressing issue we face at present as a species that is the irreversible destruction of the natural environment which threatens our very existence is– unsurprisingly– of secondary importance to our politicians and business leaders alike that there is hardly a debate or substantial discussion not even a passing remark in the media. Worse, when politicians and business leaders alike talk about the general situation of the world, we hear nothing but worn-out assumptions, dreary slogans, and speculations carried to the point of outrageousness. A great deal of the interview shows the excessively productive business life of Mr. Villar, and since the correspondence touches almost exclusively on business matters the question of the economic situation in the country is inevitable. The high cost of living is first and foremost not the making of those below the gap but of the class to which Mr. Villar belongs and the government that allows and tolerates in a parasitic fashion that class. And the lifestyle in which they have to pay more for things which they can hardly afford to sustain it is not solely of their own choosing. This picture of vulgar logic is intended to excuse the class of Mr. Villar in their responsibility in creating the dreadful gap. 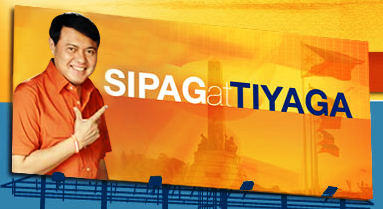 It underlies the idea of putting the blame on the victim allowing justification for the rich to admonish the poor: sipag at tiyaga (industriousness and persistence). 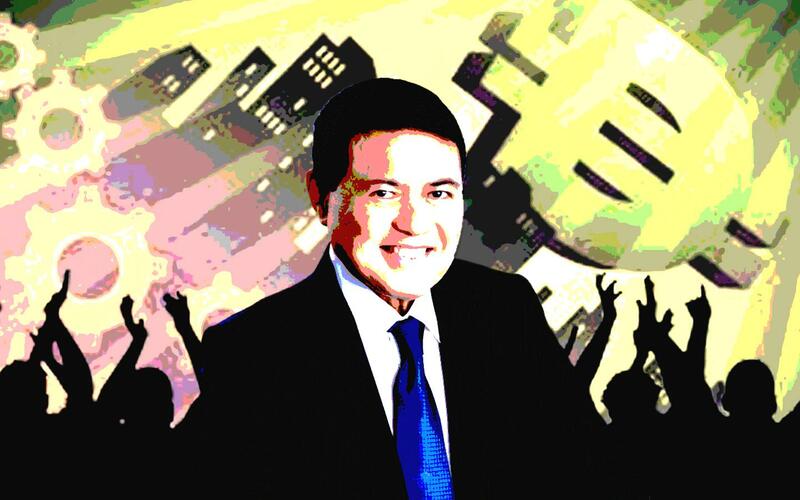 One is astonished at the sweeping adroitness of a politician and a businessman of the likes of Mr. Villar when he states that there is no wealth creation for those below. There is wealth. The problem is that the very wealth created by those below did not, in neoliberal terms, “trickle down”, instead it trickled UP to enrich the already rich on top. The question of the widening gap between the rich and the poor can be restated as an issue of wealth distribution; of implementing laws that will bar the rich from monopolization and accumulation of more wealth; of raising the minimum wage; of increase taxation on the rich; of approving agrarian reform; and of a critique and of replacement of the present economic system. If unlimited growth and development to Mr. Villar means increase of capital and GNP, an overwhelming body of evidence and studies enough to fill the private estates of the tycoon shows that unlimited growth has “led to an increasing deterioration in the environment, and subsequently the quality of life.” One only has to open one’s eyes and ears to the massive destruction perpetuated by growth and development embodied by multinational corporations on the natural environment and indigenous communities around the world. The imputation that we’re not entrepreneurial enough seems to be utterly foolish in light of the imminent danger posed to our survival by the staggering rate of environmental destruction (mankind has annihilated 60% of mammals, birds, fish and reptiles since 1970) due to the unquestioned methods and practices of our present economic system (corporate capitalism). Perhaps what should concern us all is not that we are not entrepreneurs in the image of Mr. Villar or the country is not “growing” enough–besides, the world would be insufferably boring and colorless if we were all businessmen and we talked nothing but business–but to think and act on ways as to reverse or slow down the rapid destruction of nature on which our life depends. One not insignificant way is to rethink the dominant concept of growth and development. The paradigm of unlimited growth that the Third-World countries have embraced as imposed by the developed countries “involved the reproduction of not only a particular form of wealth creation, but also of the associated creation of poverty and dispossession,” argued the physicist and activist Vandana Shiva. It is the present epidemic of growth and development which is the reason for the misery of the people below, particularly of the indigenous communities, and the unforgivable degradation of the natural environment. To ignore the realities of the environmental crisis is to admit the inevitability of social (global) suicide. Wealth creation is not the way forward, it is the way to self-destruction.